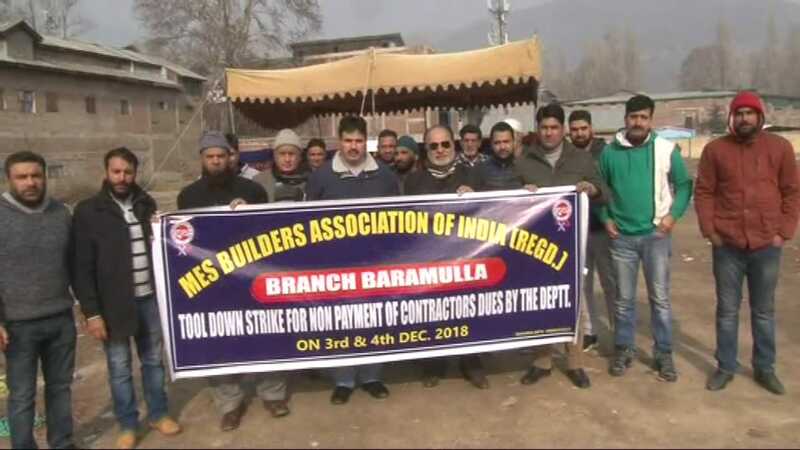 Baramulla, Dec 04 : Military Engineering Services (MES) Builders Association Baramulla on Tuesday staged a protest demonstration against the non-payment of dues by the MES. Scores of MES Builders of Baramulla parts assembled at Carrippa Park to register their protest against non-payment of dues for works done by the builders. 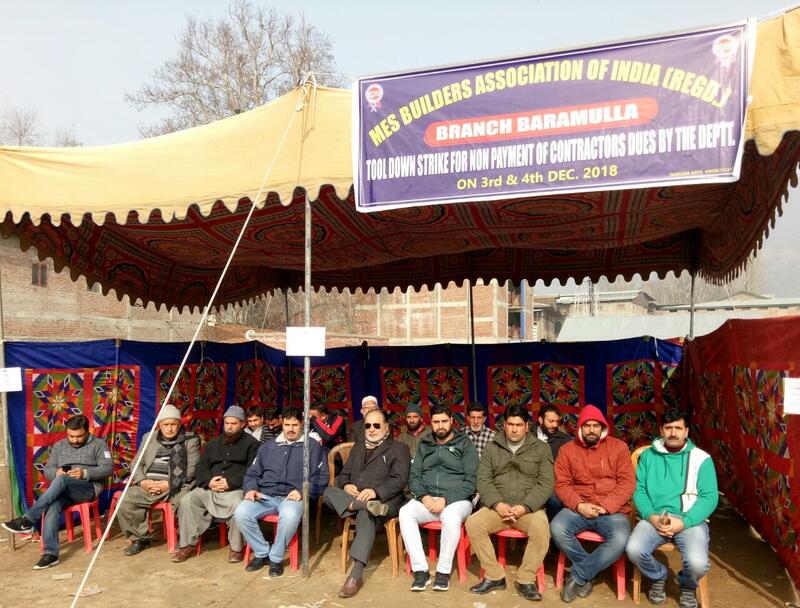 The members of the MES Builders Association of India staged peaceful protest at Carrippa park Baramulla in north Kashmir in support of their demands. Khursheed Ahmed Lone Chairman of MES Builders Association Baramulla said that we have been suffering a lot due to financial crunch for the last two years because of the non-payment of dues. He said that we have appealed to the Ministry of Defence to release our dues but despite several attempts, nothing has worked and due to that some of our contracts are facing financial problems,” he added. The protesting builders said that,It is a matter of grave concern that we MES builders who are always committed to do their works in order to enhance the infrastructural capabilities of the military without considering the adverse climate conditions are being suffering due to the neglect attitude of authorities. Meanwhile they appeal to the Ministry of Defence to immediately release their long pending dues. Pertainally the MES builders were on two-day strike against their non-payment of dues.